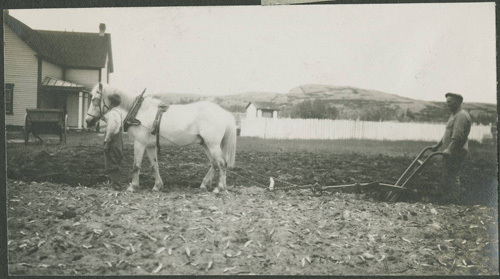 Photo: Courtesy of The Rooms Provincial Archives. 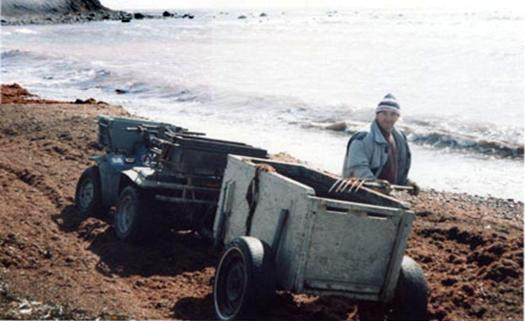 Although it is not quite caplin time – the weather we have been having for the majority of June could be considered caplin weather. 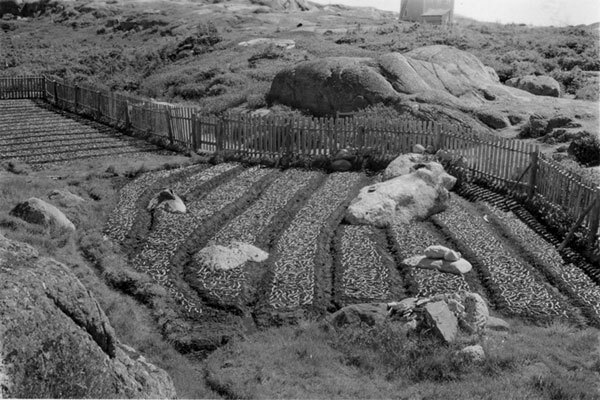 The RDF (rain, drizzle and fog) which prevails during Newfoundland’s “spring” and early summer is also known to coincide with the appearance of caplin which roll across our shores late June or early July. 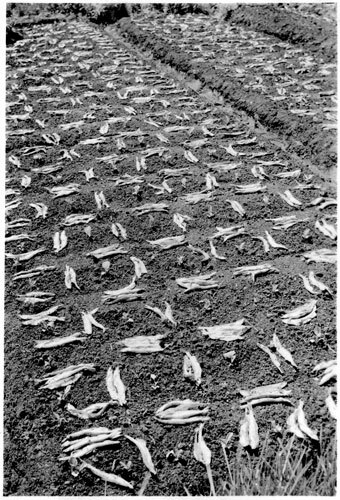 In honour of the lovely caplin weather and the hope that summer is just around the corner I took this opportunity to select some caplin related pictures for today’s folklore photo. 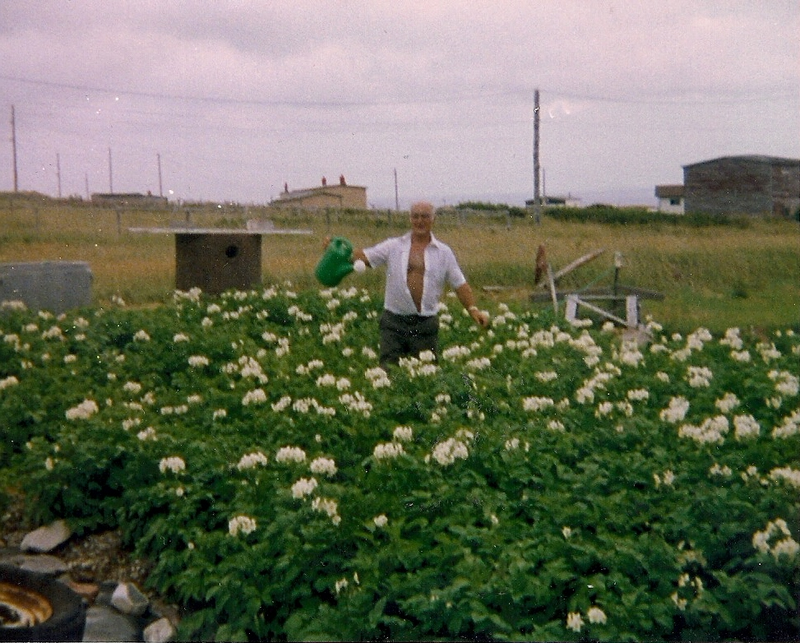 These pictures from The Rooms Provincial Archives show one of the many uses for caplin – as an all natural fertilizer! 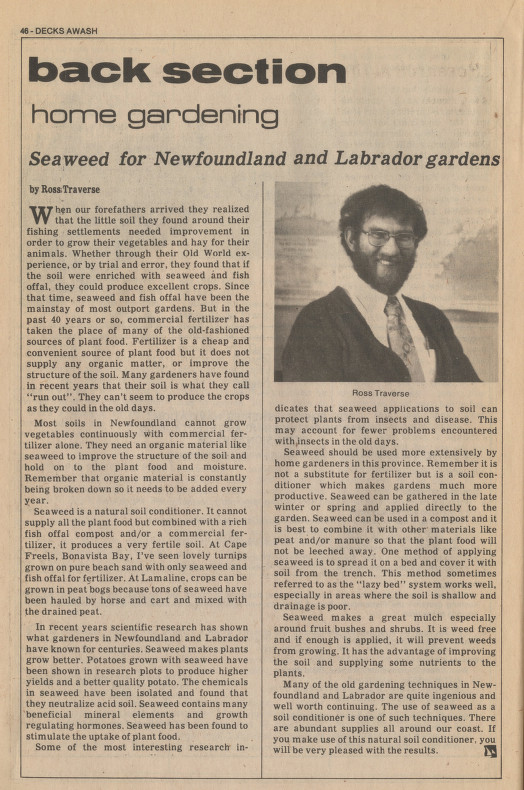 In my search for garden fertilizers I also came across this lovely article from the Decks Awash newsletter proclaiming all the benefits of seaweed and fish offal as a natural soil conditioner and compost. What do you use for fertilizer and compost in the garden? Any tips on what could help a garden grow on this rock? For more information on the local food system check out these videos done by Root Cellars Rock showcasing seniors’ food knowledge.